* Until 600 PM EDT. 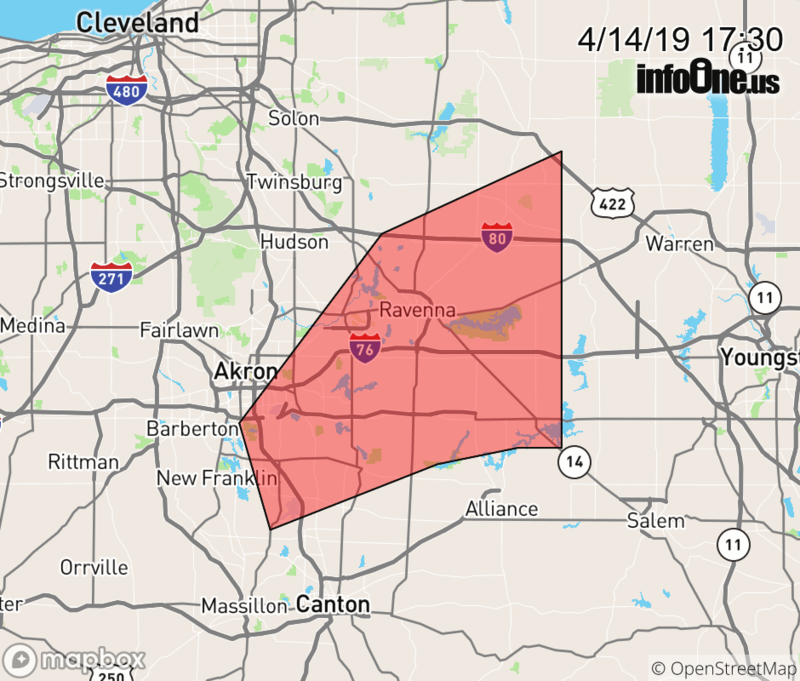 * At 526 PM EDT, a severe thunderstorm capable of producing a tornado was located near Green, or 8 miles southeast of Akron, moving northeast at 55 mph. HAZARD...Tornado and quarter size hail. IMPACT...Flying debris will be dangerous to those caught without shelter. Mobile homes will be damaged or destroyed. Damage to roofs, windows, and vehicles will occur. Tree damage is likely. .Ravenna, Kent, Green, Tallmadge, Streetsboro, Mogadore, Hartville, Garrettsville, Mantua, Stow, Brimfield, Randolph, Munroe Falls, Lakemore, Atwater, Edinburg, Windham, Hiram and Deerfield.